"Do you like rock and roll music? 'Cause I don't know if I do"
Poll: Which album is your favorite? Please listen to all ten before voting. As always, you can listen to as many of these as you have time and energy for - no pressure to get to know all ten well. This discussion also doesn't have to take place in order, because different people will be listening to them at different times. Drop your musings, analysis, etc. here as the inspiration hits you. And where possible, interact with what other people have been saying for a more interesting discussion. If you do get a chance to listen to all ten, you can then vote for your favorite in the attached poll. Last but not least, here are the past threads if you want to go back and listen to / talk about stuff you missed. Hi I’ll post some more details this evening and I’ll discuss each album individually but I already have one question: how many of the albums in the list do you know/have already listened to in the past? I've only heard Reading, Writing And Arithmetic. Good choice - it's one of my personal favorites. - they all belong to my overall one album per artist top 100 except for one: Bakesale by Sebadoh because my favorite Sebadoh album (which is also my absolute favorite) is a compilation of a CD and an EP, which I own physically, but is maybe not everywhere available. - I tried to be as diverse as possible in my choices from indie to power rock to slower albums to funk but in hindsight there is a bit of a bias since all these albums date from 1985 to 1995. - I have tried to avoid the obvious choices: I suppose lots of people have Master Of Puppets and Nevermind in their top charts but I tried to be a bit original. No album is currently in the overall top 1000. I think all my selected albums are not very experimental but in my opinion they all have something special. i will try to start the discussion of any them but finally I’m very curious what you all think of them. Bettie Serveert is a Dutch indie guitar band mainly of the nineties and their name comes from the Dutch female tennis player Bettie Stove (in fact Bettie Serveert means Bettie serves). The band is fronted by the very present Carol Van Dijk who, on top of this has a voice I really like ( mixture between angelic and powerful), but also the role of the guitar player, the very uncharismatic Peter Visser but who has a very own style of guitar playing. Three of the band members were part of the fairly obscure but great indie band De Artsen (The Doctors) who only had one album in 1989 (Conny Waves A Shell). 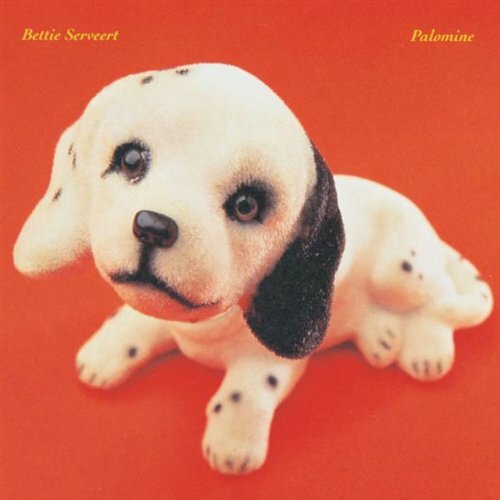 But the first album of Bettie Serveert of 1992, this Palomine, hit the lowlands (Holland and Flanders, Belgium) as a bombshell and deservedly so. This is as good a power rock/indie album as a wonderful indie power rock album can be. Just to show what a great year in music 1992 was for me: this is only my third ranked album of that year; but this is the one I want to put in the highlight because the BEA community only puts it at rank 78 of 1992 (and 3935 overall). Then comes the title track Palomine: that line ‘the sun will always shine on this Palomine’ which comes back and back in many different forms sounds so great. The break on 2:09 and what comes after that is again stunning: one of my favorite songs of all time; and again an exhilarating guitar solo at the end. At the end of the album it comes back in a mellower form as a re-prise. Kid’s All Right is a jumpy track just in time to break the magic spell a bit but still a great song and a crunchy guitar solo to top it off. And then the highpoint of the album Brain-Tag which with its length 6:27 is just an epic song. (there’s a bit of Pearl Jam at the end of the clip). Tom-boy is again one of their jumpy but still very lyrical songs and the way how the word guitar hook is re-invented all the time is overwhelming. And one of my favorite songs of all time. Under The Surface: again with great tempo changes and jangly guitars and great drums in which they just excel. Balentine: again a song sensitive to the core not in the least by the beautiful wailing and screaming guitar sound and also one of my favorite songs of all time. Healthy Sick is a great cover of Lou Barlow’s Sebadoh, that other musical hero of mine: from The Freed Man: On this is one of the most lo-fi songs Lou has ever sung (and that is already a feat in itself for the lo-fi king), but Bettie Serveert turns it into a very potent song which is very different from the original. Sundazed to The Core: the longest one of the album and again great with a bit of a strange sounding coda but which goes back to the main theme in a fantastic way. After that they released several other albums of which Damaged Good of 2016 was their most recent, but none were as good as these first ones. So you can tell I'm a big fan of this album so I would really appreciate if you would give this album one or two listens and tell me what you think of it. I have passing familiarity with three of the artists, but in depth familiarity with none of the albums. This one looks to be fun....looking forward to it. 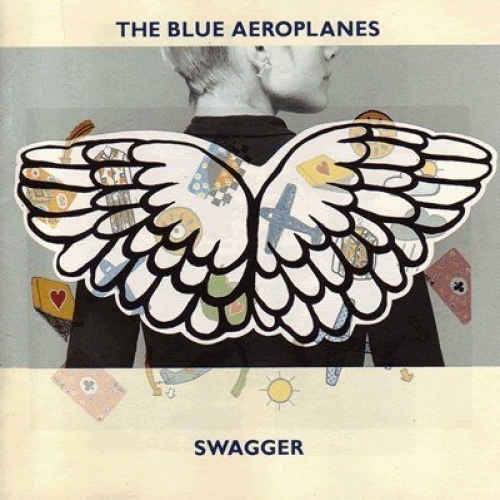 The Blue Aeroplanes is an artrock group of Bristol UK formed in 1983. The band has a bit the same kind of feel as the Velvet Underground where the poetic hushed spoken word lyrics of the singer Gerard Langley play the major role (a bit like Anne Clark did on Metropolis). This however is accompanied by chiming guitars in the style of the Byrds and R.E.M. and most of all brilliant song writing. I mentioned a number of references here but TBH this is one of the most original bands I know and I would like to use this platform to spread the word because in my opinion they are very underrated: Swagger is currently not even in the BEA top 10,000. There’s only one thing, while they released many albums, there’s only two that count and it is always a difficult choice between the two. The other album in competition is BeatSongs of 1991, so if you like Swagger certainly check out BeatSongs as well. In any case, the band still exist and their latest album dates from 2018, Welcome Stranger. I don’t think they have ever been to Belgium but I would really like to see them live because it seems they were still playing a few great concerts in Bristol up to the end of 2018. But my current choice is for Swagger which was produced by Gil Norton who also produced albums by The Pixies and aso. The big parlando begins with Jacket Hangs with already lots of words (and a great opening line “Pick A Card, Any Card, Wrong”) but what a song already with already a view how beautiful these chiming guitars can be. And the song contains some very intricate guitar motifs. And you may remember this line: this is one of my favorite songs of all time. World View Blue is maybe a little bit more of a real song so maybe one of the most accessible on this album but still very much Blue Aeroplanes. And Stones is one of the fastest swirling and most electric song on the album but still Langley manages to keep his parlando up. Check out the live version of this song on Youtube and especially interesting is to see the guy dancing with the band (a bit like Bez but less drunk): he seems to be there on all their concerts and is a real contrast to the cool dark sunglasses look of Langley. Btw his name is Wojtek Dmochowski. I suppose that Love Comes Round is that other most accessible song of the album with the closest to singing as Langley can come and a very upbeat melody. This in contrast to Your Ages which has the feel of R.E.M. (them again) in their best Automatic For The People form (and remember that AFTP came after Swagger) and it ends beautifully when it takes up speed. The Applicant is in fact a poem by Sylvia Plath set to beautiful music. It breathes a bit the Smiths in how biting the notes are but this is all Blue Aeroplanes and it gradually grows in an epic song. This is one of my favorite songs of all time. The other songs are also memorable but I would like to jump immediately to the last track. Cat-Scan Hist’ry is some kind of an apocalyptical mantra ('Burn Land, Drought Land, Animals Sink, Animals Stand') but what a mantra it is as it grows to a thundering crescendo. One Of My Favorite Songs Of All Time. Maybe I’m a bit underestimating the popularity of this album especially in the UK (I can’t remember it did a lot in Belgium: I might be the only Belgian fan) because it seems Swagger had 6 singles in the UK charts and was voted album of the year in number of English newspapers and magazines. But if you have never heard of this band: check them out and if possible listen to this album twice because I can very much imaging you won't like this album the first time you listen to it. But this is one of those things that just gets under your skin and you never get rit of that wonderful feeling it gave you the first time you really started to appreciate it. What a fun album this turned out to be. Sometimes, I could swear I’m listening to straight up 90s rock. Then there are times I think I’m listening to something with significant punk influence, or pop infusion, and definitely a strong indie vibe…. All in the same song all at the same time. They blend together subgenres in such a way that it all sounds both tried and true and totally fresh at the same time. I’m giving it an initial impression of 75/100 (which is actually pretty high for me, especially for an artist both new to me and somewhat outside my favorite genre(s)), but I reserve the right to adjust as time goes by. Thx Fischman. I suppose you're referring to the Blue Aeroplanes album?